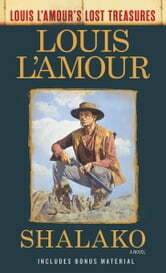 As part of the Louis L’Amour’s Lost Treasures series, this edition contains exclusive bonus materials! He was a white man as cunning as any Indian, a brooding man who trusted in nothing but his weapon and his horse. Shalako was determined to cross the bleak Sonoran Desert—the Apaches’ killing ground—by himself. But then he came across a European hunting party, and a brave and beautiful woman, stranded and defenseless. Shalako knew that he had to stay and help them survive. For somewhere out there was a deadly Apache warrior . . . and he had the worst kind of death in mind for them all. 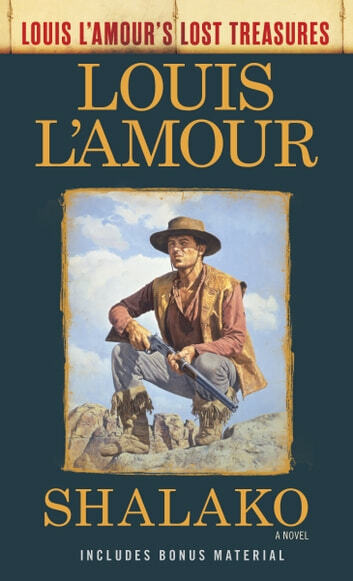 Louis L’Amour’s Lost Treasures is a project created to release some of the author’s more unconventional manuscripts from the family archives. Additionally, many beloved classics will be rereleased with an exclusive Lost Treasures postscript featuring previously unpublished material, including outlines, plot notes, and alternate drafts. These postscripts tell the story behind the stories that millions of readers have come to know and cherish.